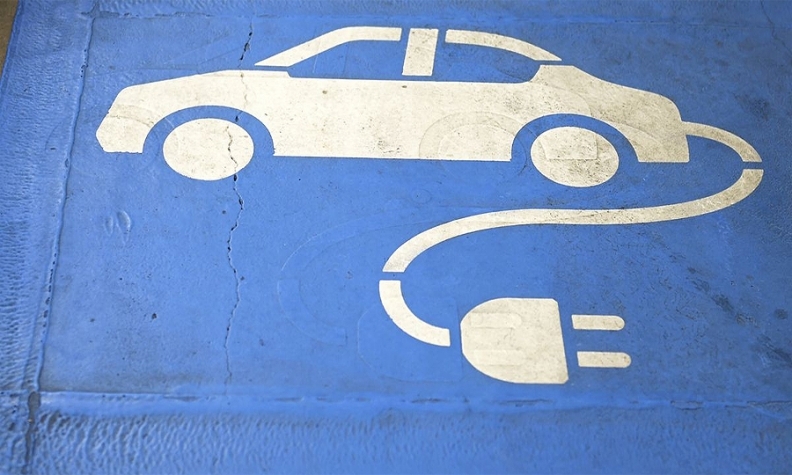 Battery powered cars will soon be cheaper to buy than conventional gasoline ones, offering immediate savings to drivers, new research shows. Automakers from Renault SA to Tesla Inc. have long touted the cheaper fuel and running costs of electric cars that helps to displace the higher upfront prices that drivers pay when they buy the zero-emission vehicles. 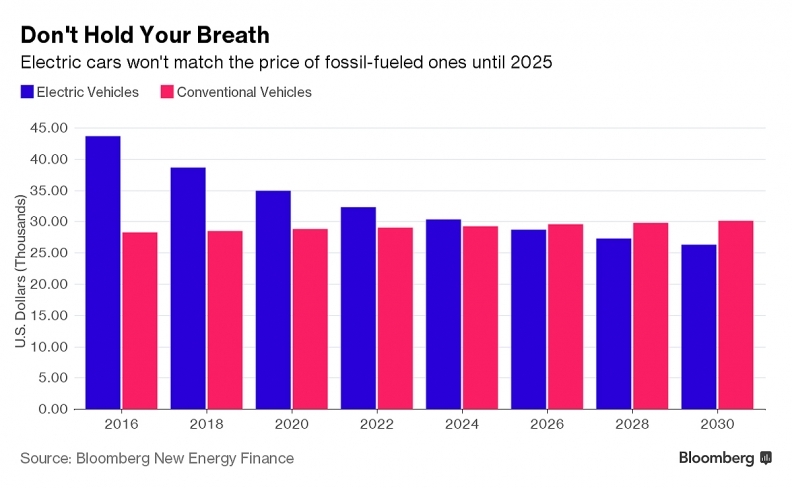 Now research from Bloomberg New Energy Finance indicates that falling battery costs will mean electric vehicles will also be cheaper to buy in the U.S. and Europe as soon as 2025. Batteries currently account for about half the cost of EVs, and their prices will fall by about 77 percent between 2016 and 2030, the London-based researcher said. Renault, maker of the Zoe electric car, predicts total ownership costs of EVs will by the early 2020s equal conventional internal combustion engine vehicles (known in the trade as ICE), according to Gilles Normand, the French company’s senior vice president for electric vehicles.